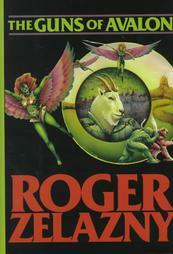 cover art by Jean Pierre Targete The name Faialla-Bionin comes from Roger Zelazny's popular Amber series. Faiella-Bionin is the stairway that leads to Rebma, Amber's reflection in the sea. After being a part of the BlueBlaze breeding program for her first three litters, she moved on to Yofranlin Cattery to continue her breeding career. Reb came to us from Frances Yow of Yofranlin Cattery, in return for her mother, Fey, going down to live in North Carolina. 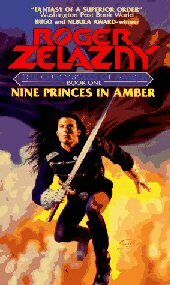 Continuing the Amber theme (one of our favorite series), it seemed only fitting that the daughter of Faiella-Bionin be named Rebma, after the Amber's reflection under the sea. (note: Rebma is Amber spelled backwards). 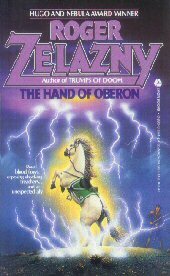 The name Strygwaldir also comes from Roger Zelazny's popular Amber series. Strygwaldir is one of the creatures of the Black Circle that Corwin faces in The Guns of Avalon.